Check out our store for new Robo Force figures, Friday December 20th at 9:30pm EST! For up to the minute news on Toyfinity happenings, jump over to our blog today! What's Toyfinity been up to? ROBO FORCE and MORDLES! Here at Toyfinity.com, we've been focused on detailing and archiving the history of toys and action figures. In 2013, Toyfinity becomes a part of that history. 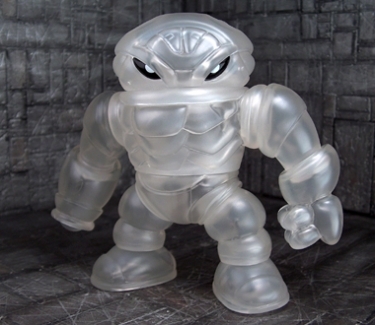 As first detailed on Doomkick.com, Toyfinity Toys has obtained the rights to the classic Ideal Toys property ROCKS AND BUGS AND THINGS. Later, on the Moderately Geeky podcast, John Kent revealed that Toyfinity Toys was also going to bring back ROBO FORCE! For more information on the return of Robo Force and Mordles, check out the following interview with Poe Ghostal on his site. What are people thinking about the return of these classic properties? Check out the thoughts of the Toy World Order - John Kent is going to make a guest appearance here very soon to talk more about these properties! 2013 is the year of the return of Robo Force! Be ready. PROTOYPE DISCOVERY! Robo Force by Ideal! It is not every day that we can show you something that no one has ever owned. Witness the incredible tale of Tiltor, one of the "unproduced?" 2nd series Robo Force figures!